Located in fashionable Knightsbridge, Mandarin Oriental Hyde Park, London, was built in 1888. 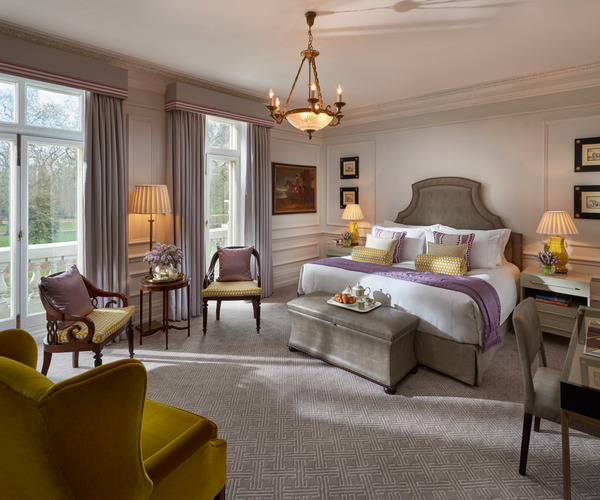 Frequented by both business and vacation travelers, the Edwardian-style building is the only London hotel located on Hyde Park, affording picturesque views of the royal parkland. On-site amenities include a fitness center and spa offering bespoke treatments inspired by Eastern and Western healing practices. There are 193 guest rooms, 26 of them suites, overlooking the city, park, or the hotel's courtyard, and six separate venues can accommodate meetings, conferences, and event functions. The hotel bar and two restaurants, one a Michelin star-award winner, are stylish fixtures that complement the hotel's cosmopolitan atmosphere. Discover a quintessential British experience by taking traditional afternoon tea at The Rosebery. With an extensive selection of the finest teas from around the world including Oriental Afternoon Blend, Orange Pekoe from Sri Lanka and the Golden Monkey leaf from China, their dedicated Tea Master has created an enticing menu of bespoke blends that are reflective of Mandarin Oriental’s rich heritage and commitment to quality. A range of perfectly matched delicacies is served to complement your choice of selected teas. The Spa at Mandarin Oriental has eight treatment rooms, in addition to a fitness center and heat and water facilities comprising a sanarium, amethyst crystal steam room, and vitality pool. Bamboo fixtures give a nod to the spa's Asian origins, and Zimbabwean granite enhances its minimalist interiors. Guests can book specific treatments at the spa or blocks of time--the signature Time Rituals(tm) begin with a welcome foot massage, followed by the course of treatment best suited to the guest's individual needs. The spa menu includes a range of facials, manicure/pedicures, massage services, body wraps and scrubs, and waxing. Traditional Chinese medicine consultations are available upon request. Before or after treatments, guests can unwind in the Zen color therapy relaxation lounge. Mandarin Oriental Signature Spa Therapies: Mandarin Oriental's signature spa therapies have been devised to address guests' increasing desire for simple, effective and authentic spa experiences. Developed in consultation with specialists in Traditional Chinese Medicine (TCM) and master aromatherapists, each signature therapy consists of a relaxing, hands-on body massage ritual that combines the powerful effects of oriental meridian massage with the therapeutic benefits of custom-blended essential oils, created uniquely for Mandarin Oriental. Each treatment begins with a private therapist consultation in order to determine each individual's personal and current state of wellbeing. The treatment and oils are then tailored to each guest in order to leave the body, mind and spirit in perfect harmony. Guests are also provided with nutritional and exercise guidance, in order to extend the beneficial effects of the programme at home. Mandarin Oriental Hyde Park has one of the city’s most exceptional spas – say goodbye to stress and enter a haven of serenity. The stunning spa is a calm and nurturing environment where you can experience your own personal journey to physical & spiritual harmony. Enjoy extensive heat and water facilities, expert therapists and a sumptuous range of indulgent spa treatments & signature therapies. 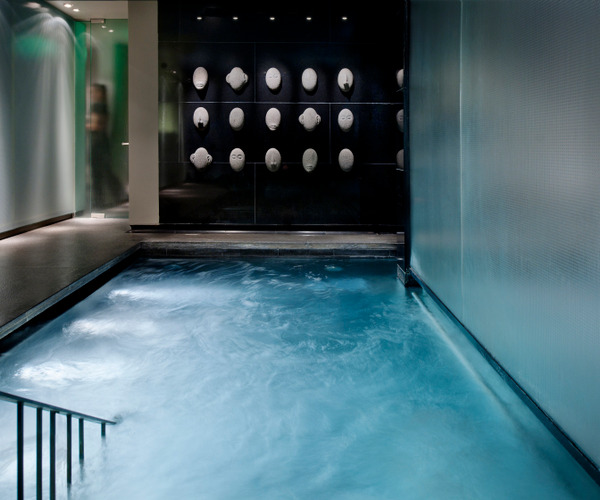 Mandarin Oriental Hyde Park provides a luxury spa experience at its finest. There are also comprehensive fitness facilities with personal training and a 17 metre swimming pool on offer. Mandarin Oriental Hyde Park has 193 guest accommodations, 26 of them suites, decorated with antiques and sumptuous fabrics and offering city, park, or courtyard views. All rooms are accessorized with in-room safes, minibars, and individual climate control; high-tech fixtures include high-speed and wireless Internet access, two telephone lines, and CD players. Are you a food lover? You’re in luck: Mandarin Oriental Hyde Park is home to two exceptional restaurants and a stunning bar, offering one of London’s top gourmet destinations. Dinner by Heston Blumenthal offers the renowned chef’s signature cuisine, Bar Boulud is a French-style bistro, and The Rosebery is a chic location for afternoon tea & champagne.